Our specialist education law solicitors truly understand the issues and challenges facing schools and other educational establishments today. As well as specialist advice, we can provide the practical help and support you need, leaving you to focus on what’s really important – education. We have extensive experience in helping schools convert to Academy status under the Academies Act 2010, as well as expertise in assisting Multi Academy Trusts with new joiners, land issues and governance advice. 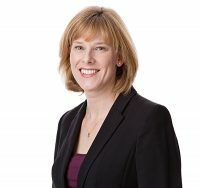 Our education law team is headed up by Sarah Baldwin. She not only understands the legal requirements of academies, but also has first-hand experience of school operations having been a Chair of Governors and a serving trustee/director of a Multi-Academy Trust. Sarah’s experience means that she has a clear, detailed understanding of what academies, MAT and free school will need in order to operate efficiently in the future. We can help you if you’re considering, or you’re in the process of, converting to an academy or sponsoring an academy. We also offer advice on establishing and opening a free school. If you’re already an academy and need advice on land or governance matters, call our education law solicitors in Bristol and Somerset on 01749 345 756. We work with a range of educational establishments in South Bristol and Somerset, including Shepton Mallet, Glastonbury, Street, Frome and Chew Magna. Lyons Bowe have been flawless in their service to the Midsomer Norton Schools’ Partnership over the past 12 months. The service is professional and always in the the best interest of the Trust. Their advice and reassurance is sharp, concise and valued beyond measure. This allows the Trust be secure in the knowledge that all aspects of any given situation or case have been considered in detail and advised upon accordingly.